We share some of our most-wanted new features that we hope are integrated into iOS 9.
iOS 8's release has come and went, and with it we got a ton of new under-the-hood features that changed the way that Apps are developed, and allowed for new keyboards and tighter integration between iOS and third-party Apps. We also got some great system-wide tweaks that built on the design changes introduced in iOS 7. The Apple ecosystem also got more cohesive with Apple's "Continuity" project. Apple users can now pick up and leave off on any of their iDevices in a way that isn't offered by any other manufacturer. In fact, iOS 8 may have been the most important release for Apple since the introduction of the App Store in iOS 2.0.1. With such a bevy of features, shouldn't we be satisfied? Unfortunately, iOS still lacks functionality which comes standard on other mobile operating systems, and has quite a few nit-picky things that we'd love to see fixed. We've collected a list of what we've really wanted to see since the inauguration of iOS and hope are finally included in iOS 9. OS-wide Dark-Mode: We'd like to be able to set all the bright-white portions of the OS to black, some Apps already do this and it would be great to save some battery, and increase usability under certain lighting conditions. Custom UI Colors: Cell-phones have become an extension of one's individuality, so it would be great to be able to change the UI from the standard white to at least a pre-selection of colors. I'm sure it wouldn't be hard for Apple to offer the UI in 8-10 different colors without breaking the OS. Default Apps: Stock Apple apps are great, but what if we prefer Google Maps to Apple Maps, or Firefox to Safari? Currently there is no way to make third-part apps open links and files by default and it can be annoying to have to exit out of one task to open the app you want to use. Ability to Permanantly Hide System Apps: Every time we get a new iDevice we go through the hassle of making that one folder that so many people have sitting on their phones: the junk folder. For example, we don't use the Newstand App, but we have no option to get rid of the icon besides throwing it in a folder. It'd be nice if Apple would allow us to hide at least the optional apps from the home screen. Integrated Game Center: The Game Center App is great, with leaderboards, achievements, social features, etc. Unfortunately, most people don't bother to see it. It'd be great that once a game is purchased, it links through the Game Center instead of pinning to the home screen (although we'd still like that to be an option,) especially for huge gamers like us that have to make a ton of folders to stay organized. Access to the File System: While jailbreakers have had this option forever, it would be great if we could at least get partial access to files. The fact that there is no file manager really cripples the ability to download files from the internet, or transfer files from home computers onto the iPhone. Play Video In Browser and WebM Support: HTML5 video is slowly supplanting Flash as the standard and it's mind boggling that no browser on the iPhone even recognizes WebM. We understand that iOS will never support Flash, but it would also be nice to have the option to play HTML5 video in browser, especially on iPads. iOS is absolutely great, and although it has been notorious for lacking in customization compared to Android, it's catching up quickly. 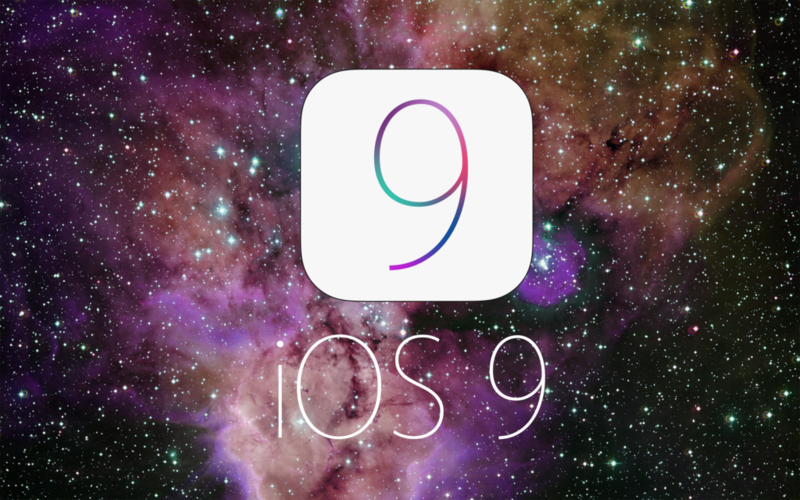 Do you have something you'd like to see in iOS 9? If so, leave us a comment!